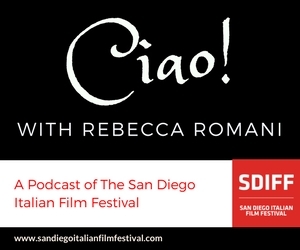 In this episode of Ciao!, Rebecca talks with Dr. Doreen Mattingly, head of the Women’s Studies department at San Diego State University, about feminism. Come to tonight’s screening of Femminismo! at MOPA at 7:30 and stay for a Q&A featuring Dr. Mattingly and our own Diana Agostini, after the film.